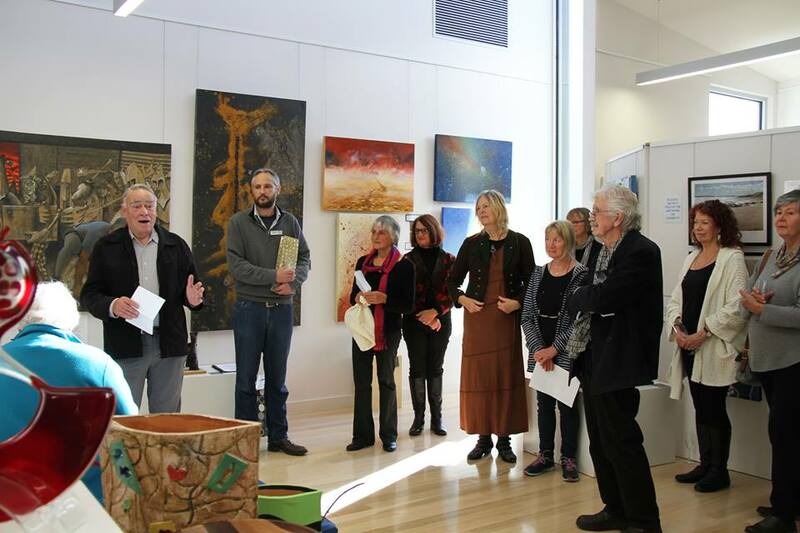 The show has had a wide range of community support and the various prizes (with donors) offered in both visual art and the literary categories include: Wonthaggi Medical Group Award for Best Painting; Goat Island Gallery Award for Best 3D; Crossover Cycles Highly Commended Award for 3D; Sunscape Electrical/Gippsland Solar award for Best Mixed Media; JB Insurance Highly Commended Award for Mixed Media; Studio 40 Award for Best Work under $300; EcoLiv Winners’ Literary and Performance Award; Country Fresh Herbs Youth Art Winner’s Award; Wheel Heat Youth Art Highly Commended Award and Serious Surf Stuff Youth Art Highly Commended Award. The visual art winners were as follows: ‘Tree Deaths’ by Norma Stack Robinson won the 3D Award, ‘High Tide at Lake Reeves’ won the Mixed Media Award for Lisa Timms-Stevens and ‘Armageddon for all’ by Ken Griffiths won the Best Painting. Of interest was the artist’s climate statement that accompanied each entry. Overall the impression was just how difficult it is to convey any message on climate change artistically and many works featured environmental aspects such as the plastic scourge – at best peripheral to the theme. Personally I preferred the more abstract works of the visual artists. Art is another tool to convey the threat and the solutions to the existential threat of climate change. The show at Artworks continues until June the 18. Hopefully there will be a bigger and better show next year.